Professional wrestling has been a staple of modern entertainment for years. From Stone Cold Steve Austin, The Undertaker, Hulk Hogan to Dwayne “The Rock” Johnson, entertainment by watching grown men in leather pants punch each other in scripted fights have been very appealing. Some of these wrestlers have used the platform to build a global following, some have simply fought and retired as Legends and fan favorites. Some, unfortunately, are dead. In the case of Randy Mario Poffo, more popularly known as Randy Savage, he died on May 20, 2011. Although he did not become a part of the global fame that some wrestlers have enjoyed when they crossed to movies, he had a career that transversed wrestling. Randy Savage found life through the union of Judy and Angelo Poffo. His mother gave birth to him on November 15, 1952. His father was a wrestler himself so it was apparent that Randy did not stray from the path his father laid. He spent his early years living in the state of Ohio, specifically Zanesville, Ohio. Before he followed his father’s path into professional wrestling, he attended and graduated from Downers Grove North High School. Not many would have looked at Randy Savage and thought of him as a baseball player, but for the few who may have seen it, they would be right and perhaps a little weird. Savage played minor league baseball, playing for different teams such as the St. Louis Cardinals, Chicago White Sox, and Cincinnati Reds. He started playing at the age of 18 in 1970 and he played for four years before retiring from baseball in 1974. Savage followed his father’s footstep into professional wrestling in 1973, beginning his wrestling career during the offseason of the penultimate season of his baseball career. He started his wrestling life as the character The Spider but later adopted the name Randy Savage at the behest of his friend, Terry Stephens. He initially fought alongside his brother and father and was signed by the biggest wrestling promotion company at the time, World Wrestling Federation in 1985. While he was in the WWF, he fought various big stars, including Hulk Hogan and became a WWF Champion in 1987. He secured the title after emerging the winner in a 14-man tournament. His style and skills made Savage popular among wrestling fans despite playing the heel character (villain). Up until his first retirement in 1991, he was a beloved wrestler. He made a comeback and continued to wrestle until 2005. He joined World Championship Wrestling in 1994 after leaving the World Wrestling Federation and also fought under Total NonStop Wrestling. Wrestling may have been the form entertainment Savage is known for, but he featured in other forms of entertainment as well. He was an actor, having featured in five films including the 2002 release of the original Spider-Man trilogy. In television, he has appeared in 14 shows. Randy Savage also dabbled into music. His first published music project was as a part of the WrestleMania Album released in 1993, featuring WWF stars. He released his singular solo project ten years after, a rap album titled Be a Man. Although he had a limited discography, Savage’s career has inspired a series of music projects. He featured in YouTubers’, EpicLLOYD and Nice Peter’s Epic Rap Battles of History music skit in 2011. Rapper Don Trip has a mixtape named after him and DJ Cummerband has a series of remixes of Savage’s singular album. The remixes are critically acclaimed. Wrestling is usually known to be scripted especially where it concerns the drama. However, some of it often ends up spilling over into real life. His feud with Hulk Hogan was a significant part of his life and career. The two friends had a real life falling out that was only resolved shortly before Savage’s death. He, however, didn’t spend his whole life fighting, he loved too. He was married to his manager, Miss Elizabeth (Elizabeth Hulette) in 1984 and they divorced in 1992. Until his death, he was married to Barbara Lynn Payne, whom he married in 2010. 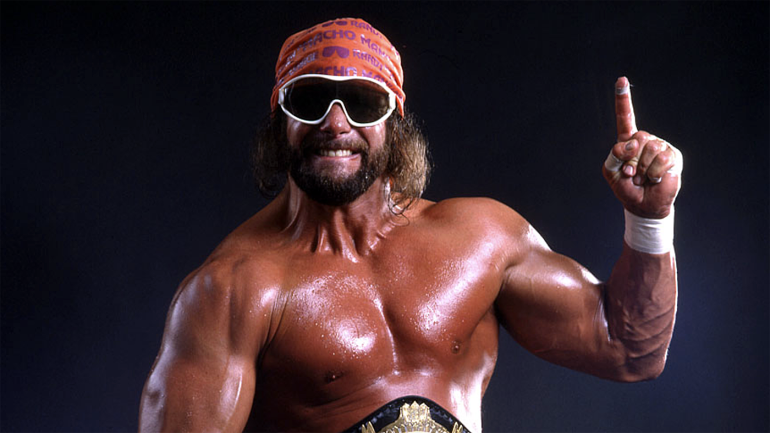 At the height of his career, Randy Savage’s popularity and value to the World Wrestling Federation were almost on par with wrestling icon, Hulk Hogan. His long wrestling career and fame helped him amass a net worth of $8 million. See Also: John Cena Son, Girlfriend, Kids, Sisters, Married With Wife Or Gay? Randy Savage’s life and career witnessed a lot of awards and wins. He was a Heavyweight Champion multiple times and he’s been named as a Hall of Famer in three major Wrestling organizations such as the WWE Hall of Fame, Professional Wrestling Hall of Fame, and the Illio DiPaolo Legends of the Aud. Randy Savage suffered an unfortunate early death on May 20, 2011, as a result of a heart attack that occurred while he was driving.